The town started as a water stop for the Atlantic and Pacific Railroad in 1883. Ore was found in the nearby hills, leading to a boom. 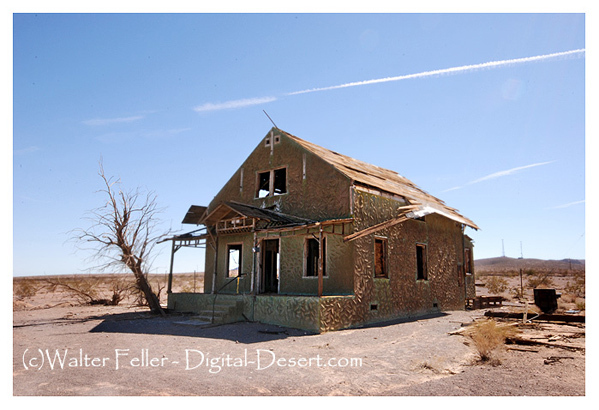 By the 1940s, mining had ceased and the town was left with only the tourist traffic from Route 66. 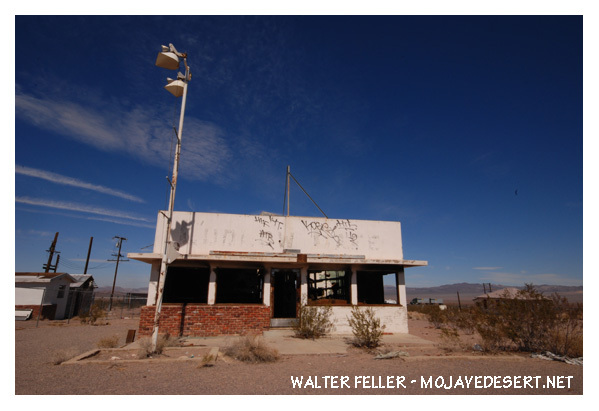 When Interstate 40 was built, there was little business and the residents departed, leaving empty buildings that still stand beside old Route 66. 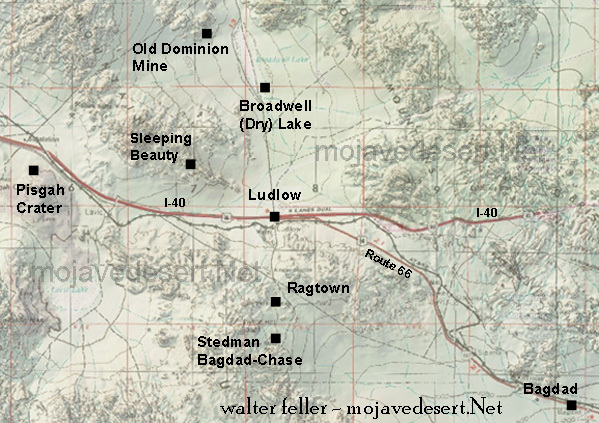 Ludlow, California, is a small town, with a population of about 10 residents, in the Mojave Desert about halfway between Needles and Barstow abutting Interstate 40, continuing it's long tradition of providing services to desert travelers. 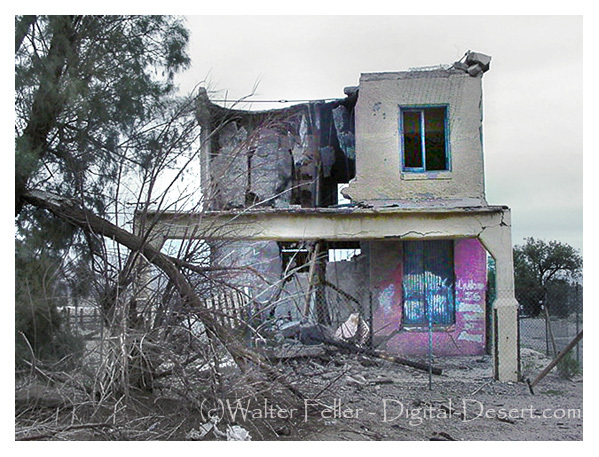 A magnitude 5.1 earthquake struck the Mojave Desert at Ludlow December 6th, 2008.